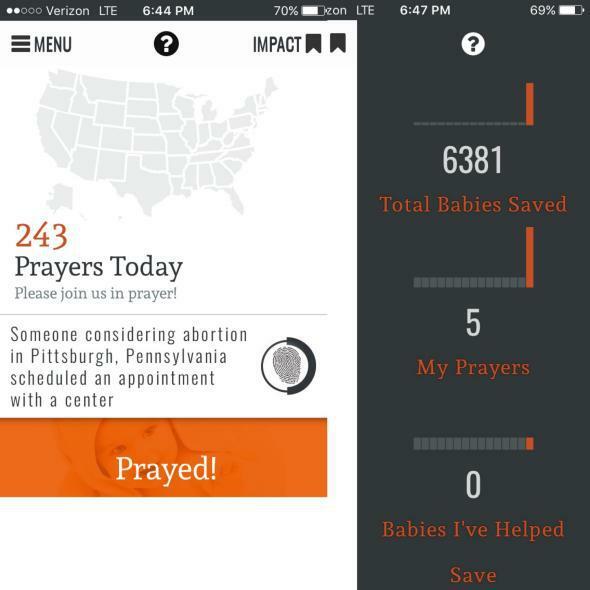 Bizarre app lets users swipe right to “pray” for real women considering abortion. Invasion of privacy or gigantic lie? On Thursday morning, before I’d even brushed my teeth, I helped save the lives of more than 100 human children. I achieved this remarkable feat during what might have been most productive 15 minutes of my lifetime, and possibly the most heroic use of an iPhone in recent history. With the help of an app developed by the anti-abortion Human Coalition, it was easy! I saved real-live babies from the clutches of money-grubbing abortion providers with just a couple dozen swipes of my right thumb, as if I were paging through Tinder or wiping a little schmutz off the screen of my phone. You too can be a baby-saving hero. Your superpower awaits at your favored app store, searchable under “Human Coalition.” The organization, which calls abortion “the worst holocaust in human history” and hopes it will become “unthinkable and unavailable in our lifetime,” runs crisis pregnancy centers (CPCs) in the Atlanta, Pittsburgh, Dallas, and Raleigh, North Carolina, metro areas and has connections to more than 30 other CPCs around the country. On the Human Coalition app, users can browse a feed that purports to tally real women who are engaging with these centers. 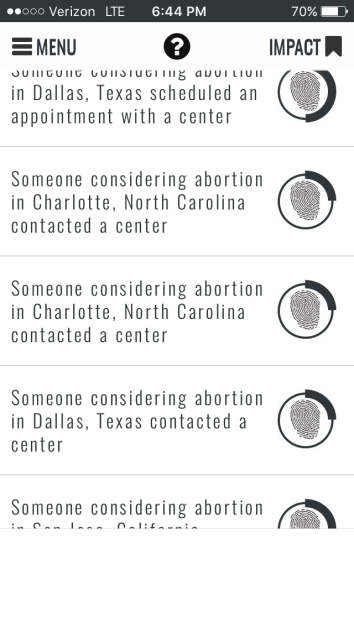 “Someone considering an abortion in Charlotte, North Carolina contacted a center,” one feed entry reads. “Someone considering abortion in Cleveland, Ohio scheduled an appointment with a center,” reads another. I’ve reached out to Human Coalition several times to ask whether the entries in the feed correspond to real case files opened for real women who contact Human Coalition CPCs. I have gotten no response. It’s also not clear whether Human Coalition is tracking which real women each app user has prayed for, then updating that user’s “babies saved” tally if those specific women choose not to terminate their pregnancies. That is what the app promises, though, making this app either a discomfiting invasion of privacy or a gigantic lie. Human Coalition makes much of the sort of data-driven action its app claims to track. The organization’s website says employees monitor “the entire marketing to life-decision process,” or the conversion of an ad click to a CPC visit to a woman choosing to carry her pregnancy to term. “We’re able to calculate precisely how much money is needed to reach an at-risk woman and help rescue her baby from abortion,” the site states. That figure currently sits at $265. These beyond-the-pale views on women’s health care come through in the Human Coalition “baby-saving” app. The organization claims its methodical data analysis makes it more effective and sophisticated than the average CPC chain. Those claims are highly exaggerated—almost every CPC uses deceptive advertising to get women, and other anti-abortion groups have used technologies like mobile geofencing to track women who enter abortion clinics and send them such ads. But the Human Coalition app is a great example of how things that seem fine in the hands of good people—apps, customer conversion data, prayer—can turn sinister in the hands of those who believe nearly 1 million U.S. women become murderers each year.